Following on from yesterday’s Galaxy Note 9 official video leak which revealed more details about the new smartphones stylus, storage, battery and design. 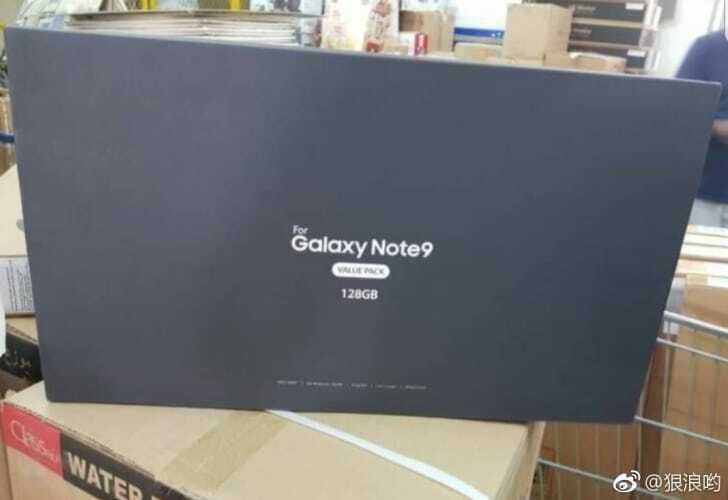 Leaked images have now been circulated providing a first look at what you can expect from the Samsung Galaxy Note 9 Value Pack. Samsung is expected to officially launch the new Samsung Galaxy Note 9 on Thursday August 9th 2018 alongside the highly anticipated Samsung Galaxy Watch which is rumoured to be available in both 42mm and 46mm sizes and designed for both men and women. There is also rumoured that Samson may drop the Magnetic Secure Transmission technology of its predecessor and rely solely on NFC for Samsung Pay support on the Samsung Galaxy Watch, but as yet Samsung has not confirmed this. 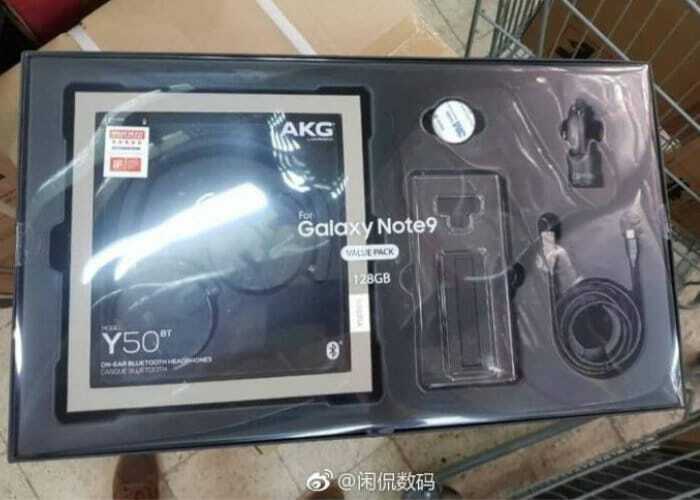 According to sources close to Samsung and leaked images made available rumours about the inclusion of AKG headphones in a Samsung Galaxy Note 9 seemed to be correct if the two images published on Weibo are to be believed. Showing details of the Galaxy Note 9 Value Pack with the AKG Y50 BT headphones, Galaxy Note 9 smartphone, charger, USB cable and a case for the Note 9. The video clip also embedded below leaked earlier this week reveals that theGalaxy Note 9 smartphone will support up to 512GB of MicroSD storage, providing users with a massive 1TB of storage capacity if desired. The Galaxy Note 9 is expected to be equipped with a 4,000mAh battery and a stylus that also can be used as a laser pointer during presentations. As soon as more information becomes available we will keep you up-to-date as always, ahead of Samsung’s big reveal on August 9th, 2018.